The Harvey County Fair Board, along with the Extension Ag. PDC will be conducting a county-wide Market Wheat Show at the 2018 Harvey County Fair. Producer participation in this event is strictly voluntary. If a producer wishes to enter, just inform the scale operator at the participating elevator. Samples will be collected right off the truck as it comes across the scales. Everyone is invited to attend and learn about the latest news on wheat varieties in our area. This year we will have two plot tours on one day, Friday June 1st. The first tour stop will start at 3:00 pm at 8600 S Hillside. Directions – from the corner of K-196 and South Hillside, go South 1 ¼ mile, east side of the road. At 6:00 PM will be the wheat plot dinner at Camp Hawk, 1801 SW 36th, Newton. Then on to the KSU/DeLange wheat plot following dinner. That plot is located at SW 48th and Meridian ¾ south of the intersection. 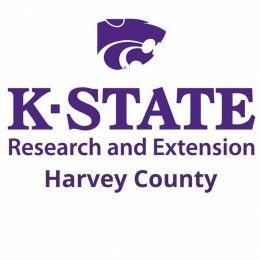 The speakers from Kansas State University Extension for the tours will be Doug Shoup, KSU Crops and Soil Specialist; Eric DeWolf, Extension wheat and pathology specialist and Romulo Pisa Lollato, Extension wheat & forage production specialist. The other speaker is Steve Ahring, agronomist from DeLange Seed. They will provide information on wheat variety comparisons and much more information. 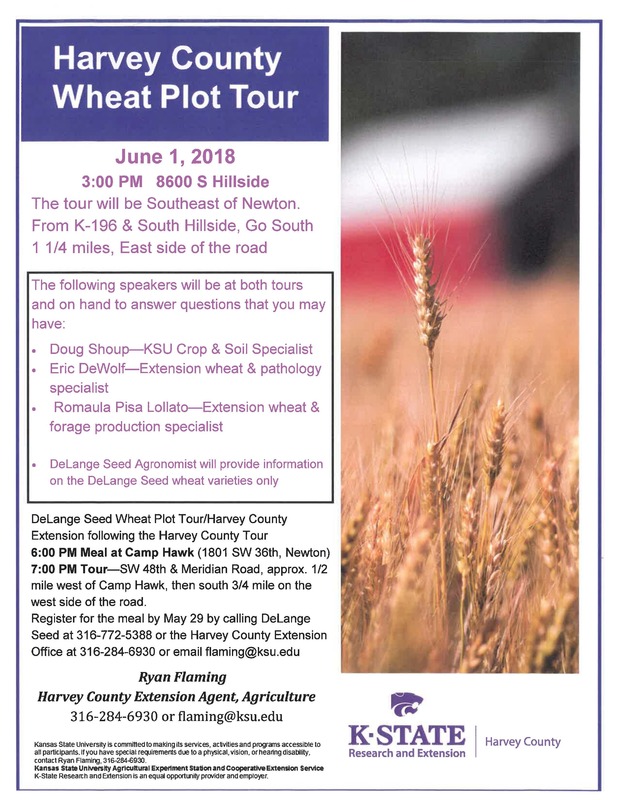 This in an excellent opportunity for you to see the new wheat varieties and compare the established varieties growing in Harvey County. 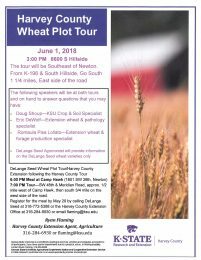 Mark your calendars and plan on a fun time at out Wheat Plot Tour! If you plan on attending the meal please give us a call at the extension office 316-284-6930 and let us know that you will be attending the event by May 29th. The dry conditions that have prevailed over much of Kansas since the fall of 2017 have left some wheat growers with relatively dim prospects for grain production for the summer 2018 harvest. An alternative use for that wheat is as a forage crop – silage or hay – which may still have considerable value at a time when pasture grazing prospects and hay supplies may be uncertain. The Wheat Production Group at Kansas State University has joined forces with the Kansas Wheat Commission to learn from wheat producers around Kansas. We are conducting a wheat management survey across several fields around the state so we can analyze and evaluate the collected data later in order to develop best management practices for different regions around the state. 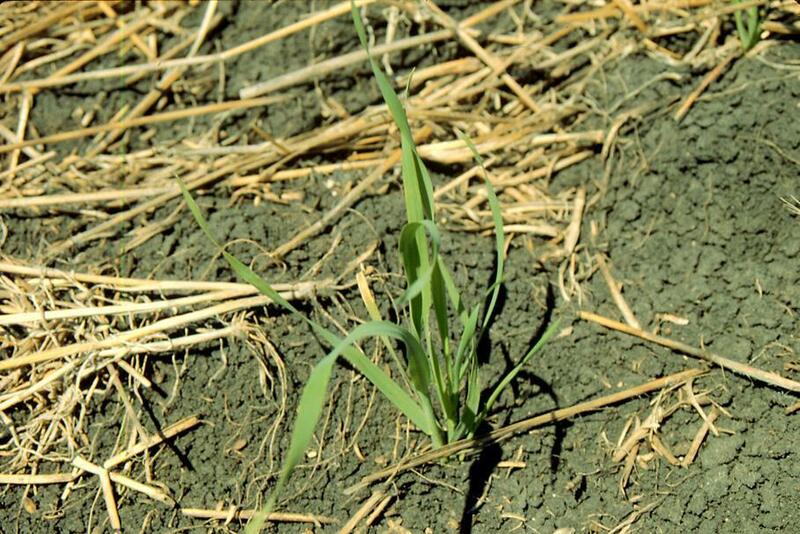 When you get a combination of low temperatures, dry soils and poorly developed wheat crops it creates a concern among farmers about the wheats chances of surviving the winter. Will the wheat survive the combination of those conditions? “Where wheat plants have a good crown root system and two or more tillers, they will tolerate the cold better. If plants are poorly developed going into winter, with very few secondary roots and no tillers, they will be more susceptible to winterkill or desiccation, especially when soils remain dry,” Jim Shroyer, K-State Research and Extension crop production specialist said. “Poor development of secondary roots may not be readily apparent unless the plants are pulled up and examined” he added. If the seed is not planted at the correct depth, about one and a half to two inches, the crown will not be protected good enough from the weather conditions. The crown needs to be reasonably well protected in the soil so it can be protected from cold temperatures. If the wheat seed was planted to shallowly then the crown will not be buffered from the winter weather and will be more susceptible to winterkill. Temperature ranges in the fall also have an effect on winterkill. If the temperatures suddenly drop into the low teens the wheat plants will not have had enough time to winter harden. If the fall temperatures gradually drop then the wheat will be adequately cold harden and should be able to handle the winter. In most cases, producers won’t know for sure if the wheat has survived cold temperatures until early next spring. In Harvey County, recent rains have stimulated yet another flush of volunteer wheat. Volunteer wheat is known to be an important reservoir for wheat streak mosaic and wheat curl mites that spread this disease. Many growers are asking if this newly emerged volunteer elevates the risk for problems with wheat streak mosaic becoming established this fall. While volunteer wheat is known to be an important reservoir for wheat streak mosaic, all volunteer wheat is not equal in its contribution to disease outbreaks. The greatest risk comes from volunteer wheat that emerged shortly after harvest and was left all summer long. This volunteer wheat is rapidly colonized by the curl mites and infected with viral diseases. When this volunteer wheat is removed, the risk is reduced because the virus and curl mites do not survive more than a few hours without a living host. If new volunteer wheat emerges during the summer or fall, the risk of disease returns but not to the same degree. The risk is lower relative to the initial flush because there is less time for it to be colonized by curl mites and infected with virus prior to wheat planting. Volunteer wheat that emerges at planting, or just as the new wheat crop is emerging, is less likely to become a reservoir for disease than volunteer that has been present all summer. If fact, the late emerging volunteer wheat may pose no more risk than early planted wheat fields. The need to control this volunteer wheat depends on the density of the stand and rotational plans for individual fields. A thin stand of sparse volunteer wheat may be able to wait until other planned herbicide applications are made in the spring. 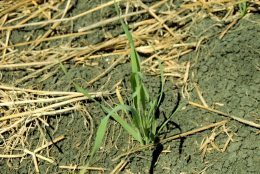 In contrast, a heavy or thick stand of volunteer wheat or other winter annual grasses like jointed goat grass, downy brome, or other brome species may necessitate some action this fall. Glyphosate is our best herbicide for controlling these winter annual grasses. Glyphosate can be tank-mixed with other residual herbicide programs that often are used to manage winter annual broadleaf weeds such as mustards, henbit, or mares tail.